Many companies have been searching for the perfect flange protector for countless years: something that would offer outstanding impact and corrosion protection, but still be economical. 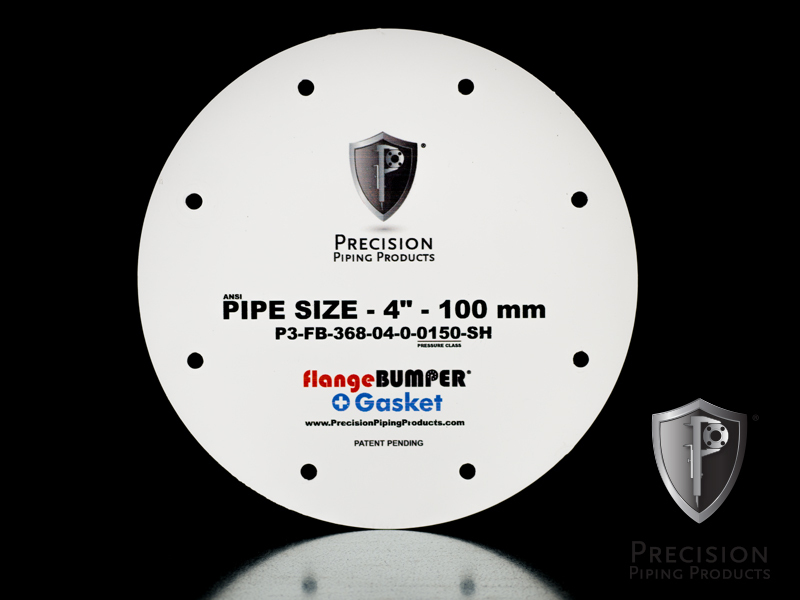 Precision Piping Products is proud to offer a perfect protection solution: flangeBUMPER™ +Gasket. Our flangeBUMPER™+Gasket provides unparalleled protection in an affordable and lightweight package. They are able to withstand damaging blows, extreme temperatures, humid environments, and are able to be installed quickly and easily. flangeBUMPER™ +Gasket will protect the flange face and interior from mechanical damage and also from corrosion. The flangeBUMPERS™ are available in three different configurations: large holes, small holes, and combination holes. The small holes work with ¼”-20 machine screws and our patented multiNUTS. The large holes will work with the standard size bolts for the flange. The combo holes will allow the use of either fasteners.